Tons of stuff new in the larp world in the last couple weeks. Here’s my attempt to stay abreast of the developments. 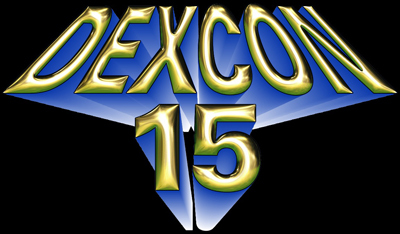 First, though, a pitch for DEXCON, which runs July 4-July 8 at the Hyatt in Morristown, NJ. I’m running three freeform games (and maybe some pickups) this weekend. See my event schedule for details. Most importantly, though, Wednesday 11pm- midnight I’m holding a reading/signing/costume contest. So wear your bad-mutha-shut-your-mouth costume for a chance to win bragging rights and a copy of Leaving Mundania! And of course, you can snag a copy of Leaving Mundania over at the Modern Myths table throughout the weekend. The Kickstarter for Hit Seekers, which will teach low-income kids math through larp, has almost concluded — consider donating! Danish larp organizer Peter Munthe-Kaas has started an awesome blog called Workshop Handbook, which has loads of intriguing suggestions for pre-game workshop exercises. Croatian larper Ivan Zalac reviews Leaving Mundania. The first episode of Realm of LARP is out on YouTube. Jezebel has an interesting post on misogyny and Felicia Day. Cool new book of gaming scholarship, Immersive Gameplay edited by Evan Torner and William White is out. Thomas B. tells us about larp in Switzerland. As usual, Gaming As Women has a bevvy of awesome content from a post on how to talk to people at cons without being skeevy to a post on the vlogger at Feminist Frequency (a series I highly recommend) to a nice rundown of gendered langauge in gaming. Some Nordicans worked on the trailer/ARG/live event design for this series, The Spiral. 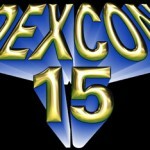 This entry was posted in Blog, Features, Larp and tagged DEXCON, Diana Jones Excellence in Gaming Award, edu-larp, Evan Torner, Felicia Day, Feminist Frequency, Gaming As Women, Hit Seekers, Immersive Gameplay, Ivan Zalac, Jaakko Stenros, Jezebel, Larp, larp in Switzerland, Larping.org, Leaving Mundania, link love, Markus Montola, Modern Myths, nordic larp, Peter Munthe-Kaas, pre-game workshop, Realm of LARP, The Spiral, Thomas B, William White, Workshop Handbook by Lizzie Stark. Bookmark the permalink.